Editor´s note: As we announced last week, for the first time ever the Disneyland Resort is observing Three Kings Day as part of their celebration of holidays. 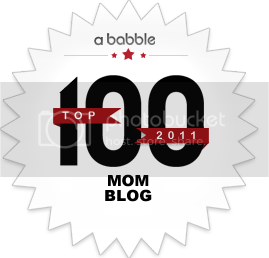 I (Ana) wasn´t able to attend since I´m still in El Salvador with the family, but we asked our friend Rachel Matos of TheArtMuse.net to attend with her son and tell us all about it! I’m Latina and I’m Catholic. Can you believe that we never celebrated Three Kings Day? 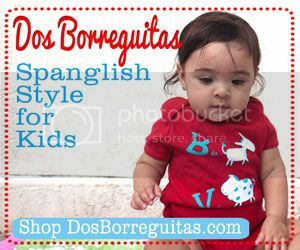 A Puerto Rican and Ecuadorian family with no Reyes? Sure enough, I kept to that word. We do something a little different each year, a bit low key but we do acknowledge this tradition in our home. We read a book about the birth of Christ, I make a special dinner and we put shoes out by the bed. Every year the Reyes give my son a special nutcracker that represents his year. For example, this year he took a cooking class, so his nutcracker was a chef! Yesterday we went a little further into the celebration by going to Disneyland! This is the first time Disneyland observes Three Kings Day. Oh, and what a celebration it is! 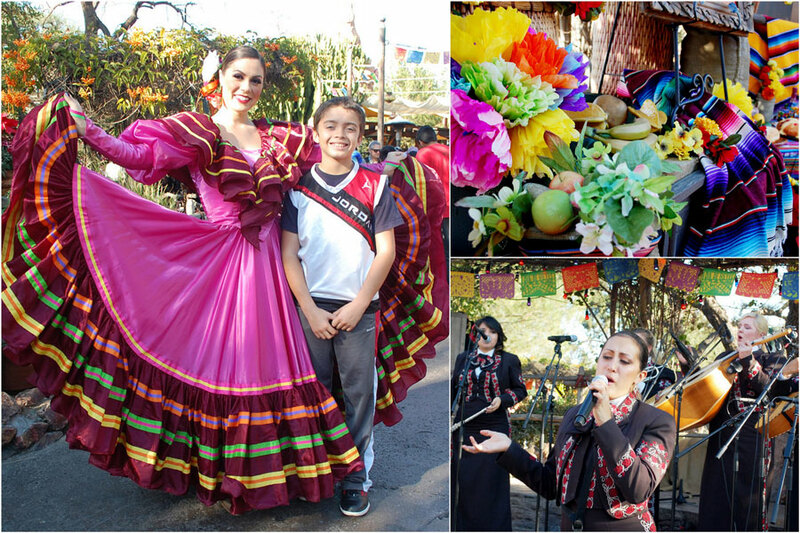 As soon as my son and I entered Zocalo Park in Frontierland, we heard music and saw the most beautiful dancers twirling in colors of fuscia, orange and blue. 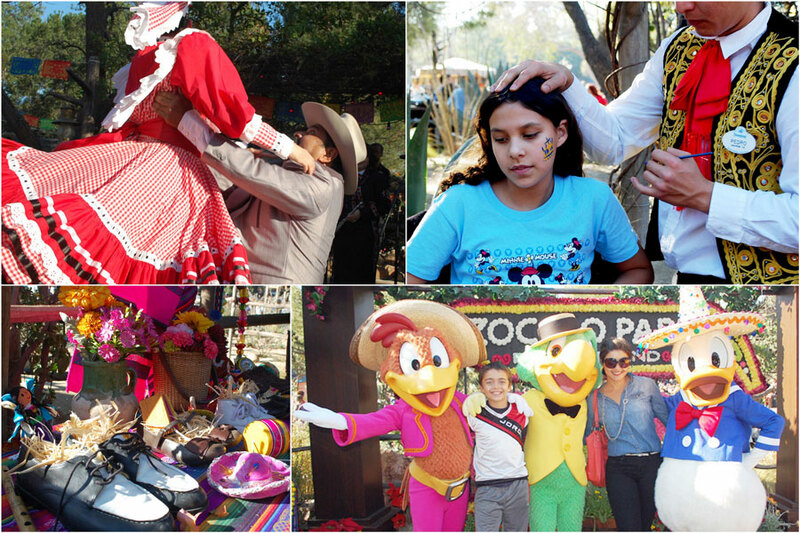 Sweet corn tamales, face painting and dancing are just a few things taking over Disneyland Park. Even Mickey and Minnie were in their Fiesta best attire. Donald Duck tapped into his latino spirit and greeted visitors with his amigos, Panchito and Jose Carioca. The Three Caballeros gave out lots of hugs and posed for pictures. My tween son looked over to me and said “You know life is great when you hear children laughing.” True, indeed. He and I had a great time together. 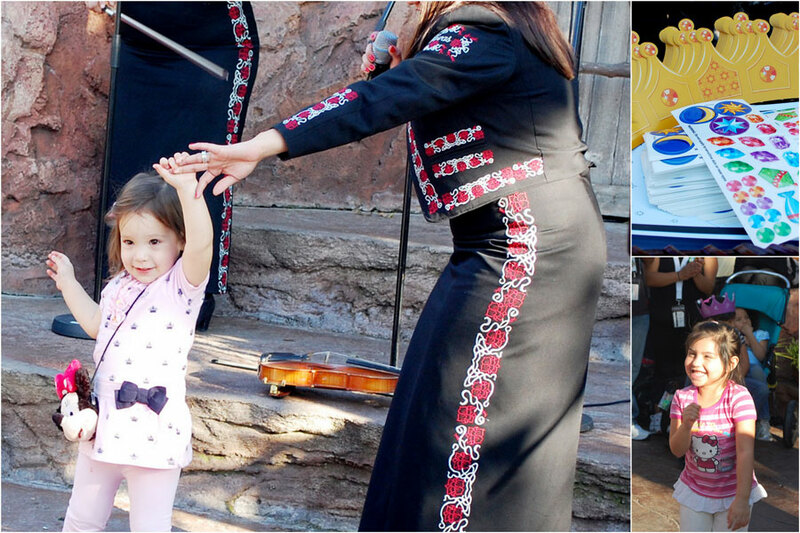 He especially loved the dancers and the Mariachi Divas. 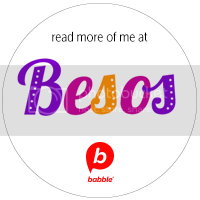 They even sang “Cielito Lindo”, a song I used to sing to him when he was a baby. He still remembers. Back to not having celebrated this day growing up – As a mother, it’s been a lot more fun to learn and explore the richness of our culture together with my son. I wouldn’t have it any other way. 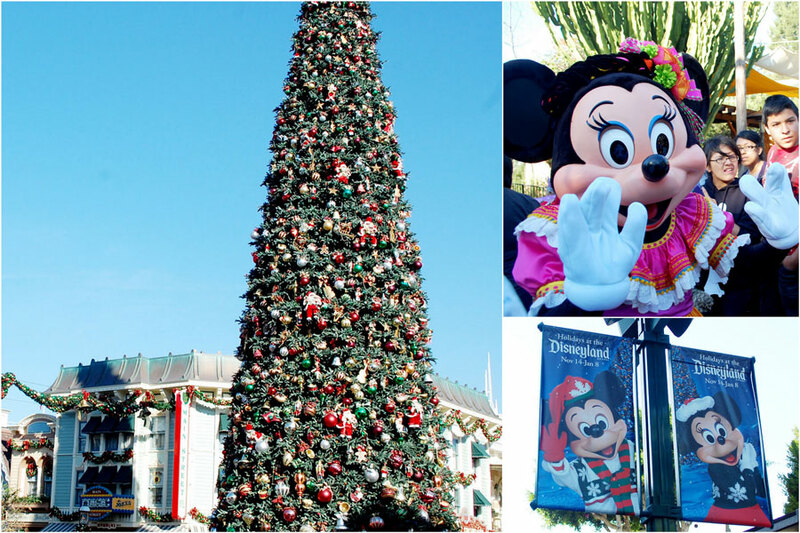 If you’d like to learn more about celebrating Three Kings at Disney, check out Disneylandia al Día. There’s still time. Celebrations are taking place right now and it ends tomorrow at midnight! 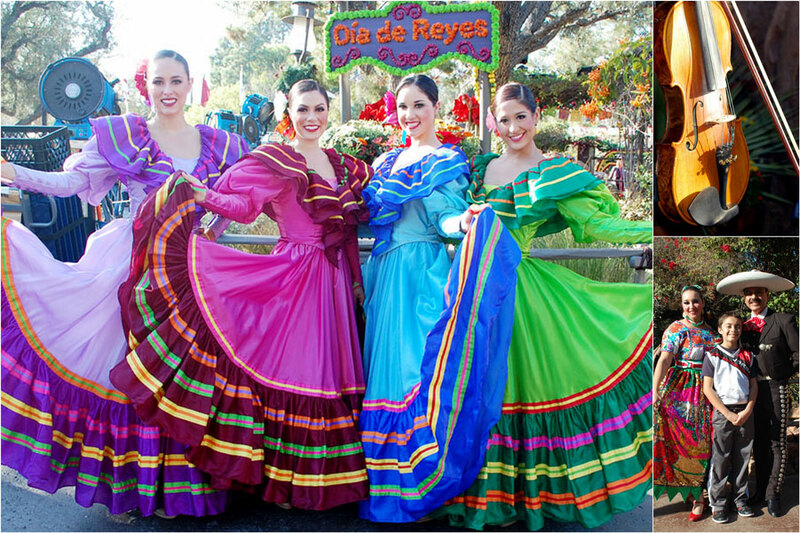 Share: Have you attended or plan to attend the Reyes Magos celebration at Disneyland? If so, please share with us here and/or upload a picture to our Facebook wall. I love all our photos! Your son is adorable! Rachel Matos is a museum lecturer and educator, exhibited portrait artist, independent curator and lifestyle blogger. She is originally from New York and resides in Los Angeles.